Behind the scenes, there's a flurry of daily activity that takes a team of people to ensure that our center runs smoothly. These people often spend way more time than their job descriptions call for and they do it because they love the CSA community. We are thankful to have these people working for us because if they didn't show up each week, many of the seamless events just wouldn't happen. ​The smiling faces of The Mindshop manager Kevin Johnson, and the volunteers who staff our spiritual book and gift store, are frequently the first touch points to members of the public who do not have any prior experience with our community. Kevin, keeps the shelves stocked with everything a spiritual aspirant might find helpful to support their journey of Self-discovery, from ancient wisdom texts to the current bestselling authors in the fields of religion and spirituality, from god and goddess statuary to malas, from candles to jewelry. Rev. David Hayward is also on staff in The Mindshop. He is a long-term & treasured member of CSA and a Religious Science expert. For 20 years, Blaze held high-level positions in Fortune 500 companies; today she is a Transformation Business Strategist, helping Conscious Women Entrepreneurs create a strategic and custom-fit business, so they can make all the money they want, and live a soul-based life that lights them up! A newcomer to Science of Mind, she loves serving the CSA community by utilizing both her technical skills and creative abilities to enhance every Sunday’s multi-media presentation. ​Born and raised in western Pennsylvania, John took an early interest in music and art, learning to play the drums from about age 8. Drumming and singing have remained a life-long passion for him. After earning a degree in audio engineering, he relocated to California in the early eighties to pursue a career in the music business, and has continued to work with a wide variety of musicians and musical styles as a performer, engineer, producer and manager. His quest for spiritual learning, along with his engineering and computer skills, has led him to his current job as sound and video technician at the Center. Jody grew up in Los Angeles and moved here in 1990. She has been a member of the CSA community since 2005. She brings her talents in everything internet to our community and has be strategic in the implementation and effectiveness of our current website. She also supports individuals and groups on the metaphysical path to purpose, passion, prosperity and Divine love. 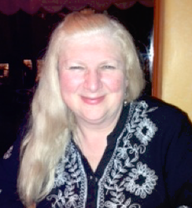 For the last 16 years, Cathy has had a thriving independent bookkeeping practice here on the Monterey Peninsula. She has an MBA from NYU’s Stern School of Business and has been a Member of our Center since 2000. She served on the CSA Board of Stewards as Treasurer from 2001-2008 and 2015-2016 and over the years has also served as our Mindshop Manager, Assistant Administrator and on numerous committees. Using her heart-centered approach, she has taught almost 50 classes and workshops at CSA over the last 15 years. She did her Religious Science Practitioner/Ministerial training at CSA and was Ordained in 2007. ​Joanne is an integral part of our office staff who really makes sure everything runs smoothly. She is in charge of making sure the Sunday order of service is proofed and folded...and ready for each of our community members. And, she helps the Administrator with in-numerous other daily tasks that are too numerous to mention. She also loves dogs. This dedicated worker makes sure that our Center looks great. He tends to every little details from class setup to making sure the chairs in the Sanctuary are set up with ruler accuracy. He always has a smile on his face and a spring in his step. His hard work happens during the week when few see what he really does. But, without him we'd all soon miss him dearly.